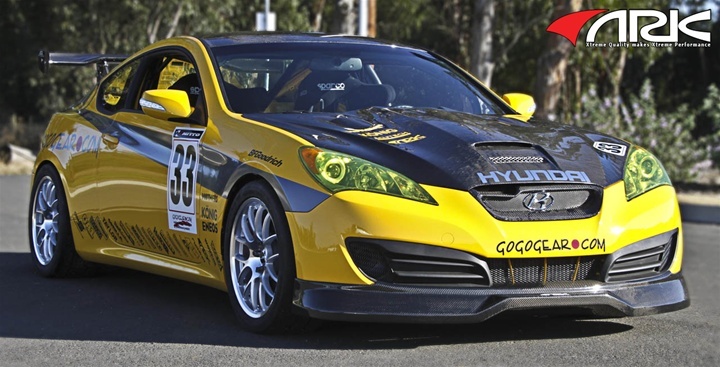 This Ark Performance Carbon CF-X Front Grille is the perfect addition to your Hyundai Genesis. This Grille adds a combination of style and function; the vent works as a short ram utilizing two of 4 stock intake ducts to draw in cold air from the front. This cold air will travel through the duct, bypassing the rubber stops at the hood and will flow directly into the duct, thus creating a short ram effect. Ark made this grille out of Grade A+ Carbon Fiber Reinforced and has excellent Fitment and Quality. Get your today and give your Hyundai Genesis the best grille on the market. Installation is rated as easy and can be installed in under 20 mins. using screws and 3M tape for extra security.